Hello Linux Geeksters. As you may know, the Elementary OS developers have started work for their new Linux system a while ago, Elementary OS 0.3, which will be based on Ubuntu 14.04 Trusty Tahr LTS. Recently, the developers have decided to change the codename of Elementary OS 0.3 from Isis to Freya, so that the system will not be associated with the ISIS terrorist group. Despite the fact that there isn’t much information about Elementary OS 0.3, a demo video of the Elementary OS 0.3 work-in-progress has been released, highlighting some of the changes and new features. 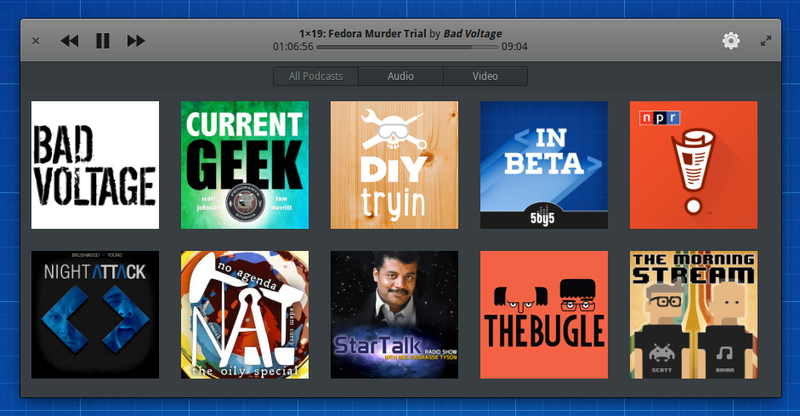 Also, as I have previously mentioned, the Elementary OS developers have created Vocal, an open-source application developed in GTK+3 for managing podcasts. New information about this new app is now available. The new application is based on GStreamer and allows the users to easily download audio and video podcasts, find the podcast covers and notify the users when new podcasts are available. Also, there is an option for automatically starting the download of new episodes, in a a directory set by the users. Vocal is still under development, but it is available via some third party PPA, containing daily builds. Also, add the Elementary OS Daily PPA, so you don’t have dependency issues.